The Aspirus Medford Foundation is grateful for your support. Your gift will help provide the means to purchase advanced technology that will benefit our patients and their families. It will help us provide quality care (physically and emotionally) to every patient regardless of their ability to pay for services. Your gift to Aspirus Medford Foundation will make a difference. Aspirus Medford Foundation does not have the means to accept credit cards or donations online – yet. We are making progress in that direction. Meanwhile, please print the file via the button below. Complete it, and mail it with your check. Thank you! Giving options provide exceptional planning strategies and flexibility and may minimize tax implications. The American tax structure—with its intricate provisions—places a high premium on skillful planning. A large number of taxpayers earn a substantial income and accumulate substantial estates. To conserve their incomes and their estates, they turn to financial-planning techniques. The simplest way to support Aspirus Medford Hospital & Clinics is through cash gifts. By designating your gift "to the greatest good, for the greatest need," you will help the Aspirus Medford Foundation and Aspirus Medford Hospital & Clinics’ medical professionals focus on acquiring new and better ways to predict, diagnose, treat, and prevent a wide range of illnesses. Gifts of assets (including stocks, bonds, life insurance, and property (real estate, etc. ), could provide you with charitable deductions, and often additional tax savings as well. Your financial or tax advisors are the best professionals to assist you in arranging an asset gift. You may prefer to state in your will (or trust) a sum of money, a percentage of your estate, real estate, or any combination, thereof that you wish to give to the Aspirus Medford Foundation. Through these types of bequests for the Aspirus Medford Foundation, you may secure a charitable estate-tax deduction for the value of the gift. And best of all, you will know that your generosity will support Aspirus Medford Hospital & Clinics for years to come. A bequest to the Aspirus Medford Foundation can create a legacy that will last forever. 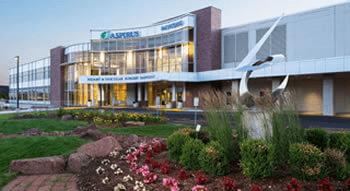 For many years, donations made to the Aspirus Medford Foundation were used to acquire advanced medical technologies and other items that provided quicker recoveries, comfort and hope to Aspirus Medford Hospital & Clinics' patients. In 2016 a new donor fund option was established. It's priority was (and still is) to increase awareness and prevention of suicides within the communities Aspirus Medford Hospital serves. Below is a short list of how donated funds were spent to help heal people, save lives and strengthen the communities in which we live. Suicide Awareness & Prevention ($23,500) – High school assemblies were arranged to have a motivational, mental health speaker, Terrence Talley, speak to nearly 3,000 high school students in Abbotsford, Colby, Gilman, Medford, Prentice, Rib Lake, and Spencer; wristband key chains, imprinted with a crisis hotline & text number, were distributed to all. Youth suicide prevention educational packages that included a DVD with videos appropriate for classroom viewing, a facilitator's guide and classroom PowerPoint presentations from the Crisis Invention & Suicide Prevention Centre were purchased for each of the high schools previously listed. Six public service announcements were produced and circulated to Wisconsin radio, TV stations, and local movie theaters. Crisis posters were developed and distributed throughout the schools and other organizations. A free Aspiring Women community forum, "Mental Notes" (70 attendees) and a "A Walk Together for Suicide Awareness" event (300+ participants) were supported. G5 Ventilator for Intensive Care ($38,119) – This ventilator allows for real-time monitoring and control of respiratory rate, volume, timing and pressure. This continual monitoring encourages the patient to breathe spontaneously, minimizes complications and injuries, and shortens the ventilation period. eICU Monitors, Cameras & Software ($72,900) – Technology allowing UW Health intensive care specialists to work with Aspirus Medford experts. Super-resolution cameras and monitors enable providers to assess patients and let patients see and speak to all medical experts involved in their care. Echo-Cardiogram Ultrasound Probe ($25,864) – Used to create images of the heart’s chambers, valves, walls and blood vessels so providers can assess anatomy, function and easily identify abnormalities. Handheld Ultrasound Units (2) ($19,800) – So Aspirus Clinics’ providers can visualize and measure a developing fetus, internal organs and fluid. Colposcope ($13,195) – For gynecological procedures involving a woman’s internal anatomy and cervix, providing clarity and detail needed to identify nuances, lesions and abnormal tissue. Novii Fetal Monitoring System ($8,734) – Monitors fetal heart rate, maternal heart rate & uterine activity with a single ‘peel & stick’ patch. It’s wireless too! i-STAT Analyzer ($8,511) – Helps determine a patient’s appropriate dosage of blood thinning medication. Pediatric Vision Screener ($6,578) – This child-friendly technology tests for a blurry vision disorder. The Aspirus Medford Foundation is a 501c3 not-for-profit organization. All funds benefit the patients of Aspirus Medford Hospital & Clinics.